Home » Costume Designers » Diahann Carroll » Fashion Illustrations » Joan Collins » Nolan Miller » Nolan Miller Costume Designer » Nolan Miller Dynasty » RIP » The Love Boat » RIP.....Costume Designer Nolan Miller: Shoulder Pad GOD! 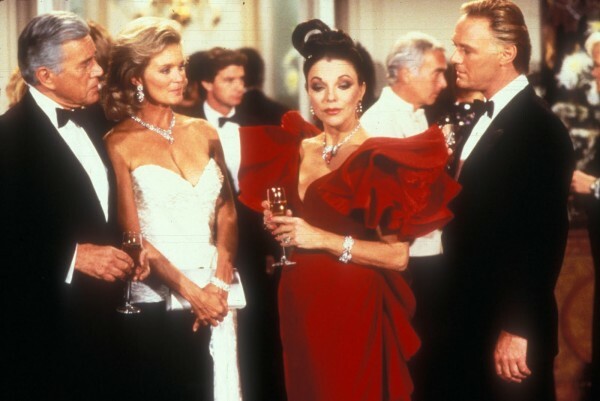 RIP.....Costume Designer Nolan Miller: Shoulder Pad GOD! 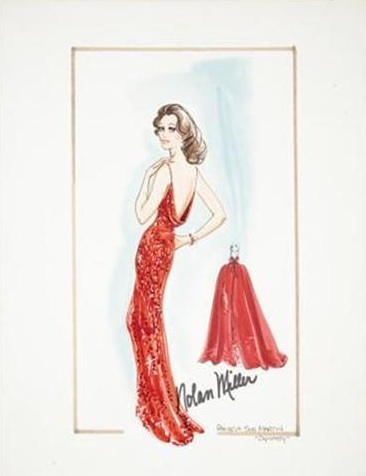 Last Wednesday June 6th, American fashion designer and television costume designer Nolan Miller passed away, at the age of 79. 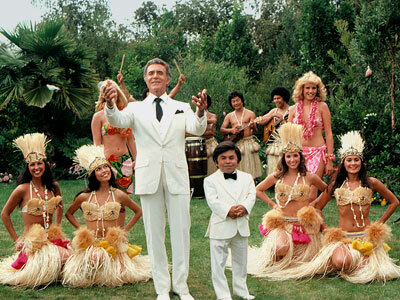 Miller had been ill for a while and he finally succumbed to lung cancer. 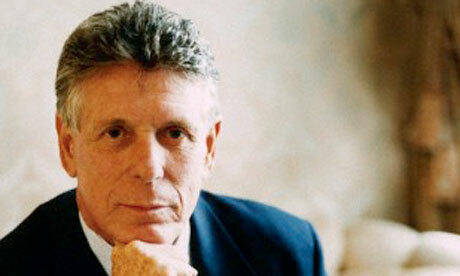 He was one of my first "Design Gods". 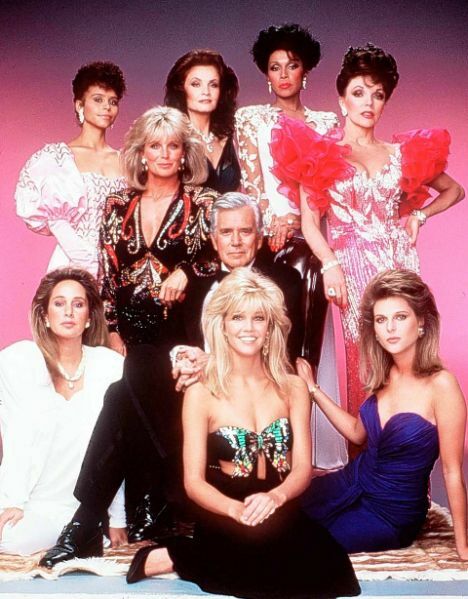 As a young boy--who only DREAMED of being a Fashion Designer while looking at glossy Vogue magazines and shows like "Dynasty" back in the 80's (yes, I am aging myself and I do not care! 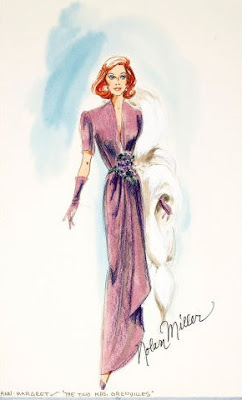 ), I was in awe of his designs and the world he created through his incomparable design eye. Nolan Miller emphasized elegance, excess, glamour with a capital "G", and one word: DIVA. 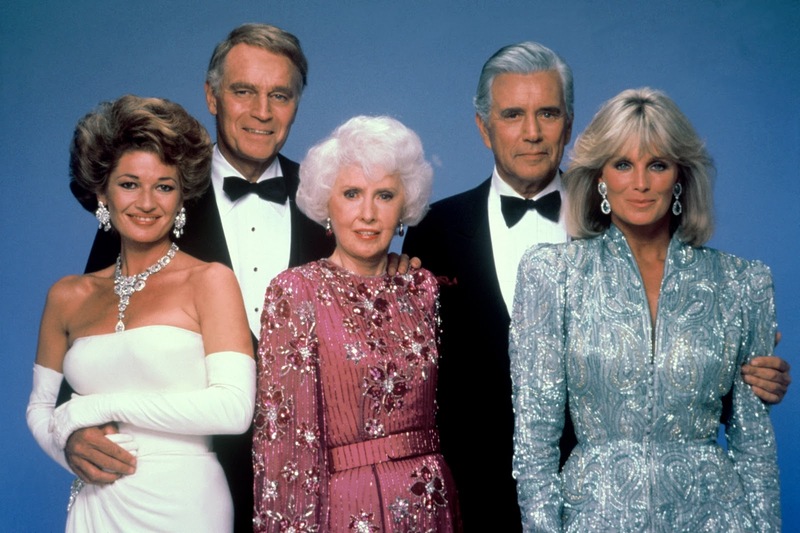 And yes, he was known for being the Emperor of the 80's Shoulder Pads. 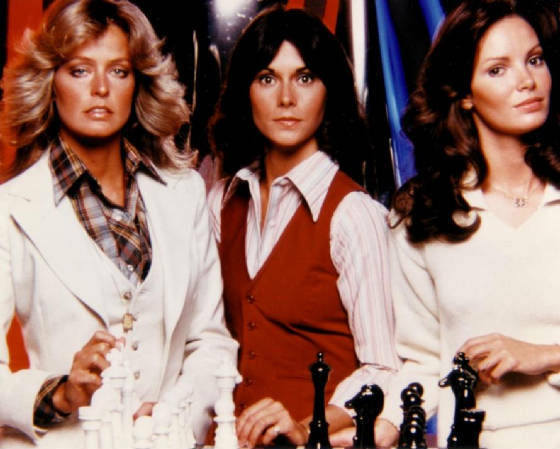 Of course, Miller is famous for being the Costume Designer for the TV Show "Dynasty" which aired from 1981-1989--spanning almost the entire decade. In case you may be "Fashion and Costume Design Illiterate", read on...and if you are a "Young UMS" born after 1990, studying to be a Fashion Designer and you do not know who Nolan Miller is, YOU BETTER! 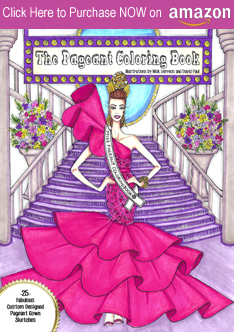 Born in Texas, Nolan Miller studied design at the Chouinard Art Institute (now the California Art Institute). 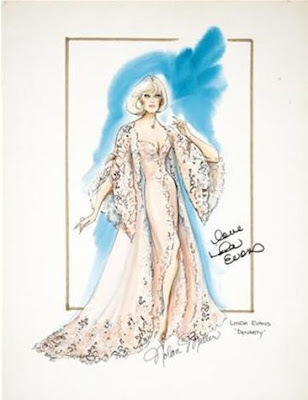 He is best known for his costume design work for the long-running TV series "Dynasty" and especially for the looks that top stars Linda Evans, Joan Collins and Diahann Carroll "featured". 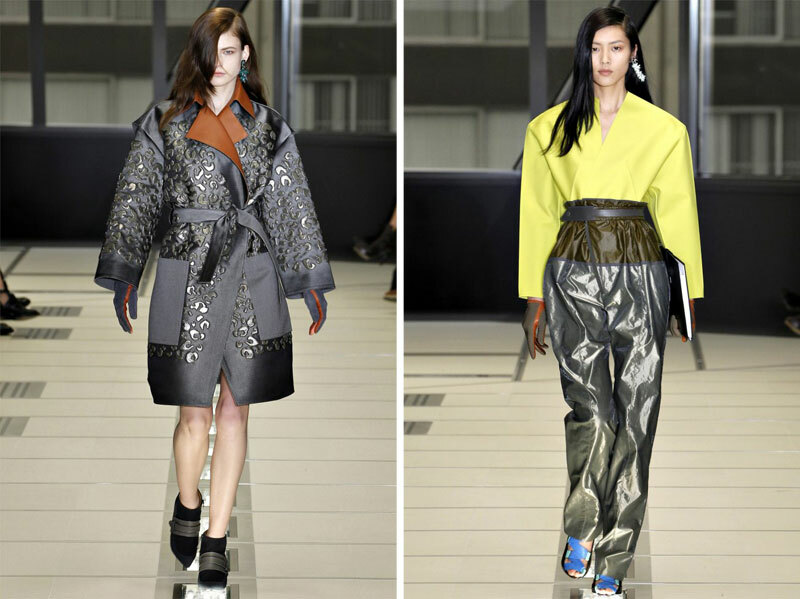 Miller exemplified the 80's Excess and Glamour Look. 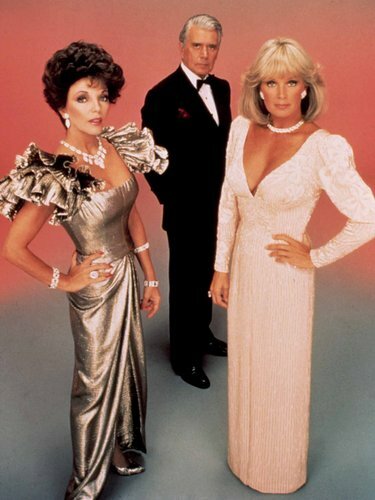 Dynasty Divas: There were always LOTS of ruffles, lots of DRAMA, and yes, very, very STRONG SHOULDERS. 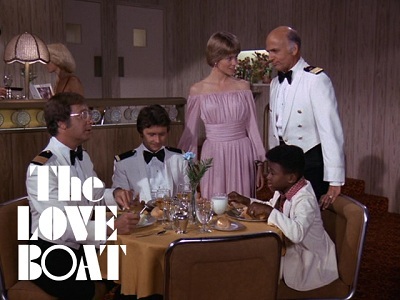 "The Love Boat": Hello Julie McCoy and her poly-jersey gathered off-the-shoulder "Cruise Ship" Dresses! 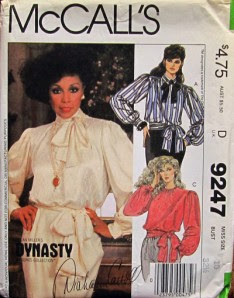 Blouson Pattern: During the 80's, designer Nolan Miller also created McCall's Patterns--dresses, blouses and much more featuring those very shoulder-padded and BLOUSON'ed sleeves, nipped-in waists and over-all 80's "I-Got-Money-and-You-Don't" style--all based on "Dynasty" characters played by the ever-so-chic Joan Collins and Diahann Carroll. 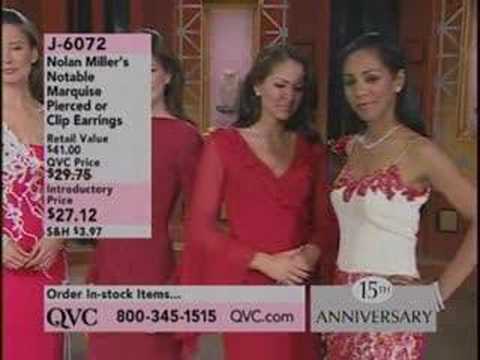 Nolan Miller QVC: For 19 years, Nolan Miller was on QVC showcasing his fabulous "Nolan Miller Glamour Collection for QVC" jewelry and accessories; they were beautiful, colorful, costume-and Couture inspired and well, for 19 years, they did pretty well for him and QVC. 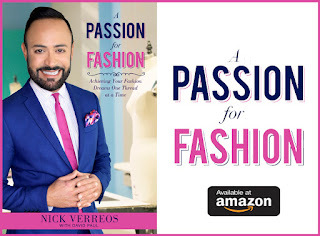 In 2011, he announced that he was retiring from QVC. Elizabeth Taylor in a Nolan Miller gown: Taylor wore it to the Golden Globes in 1985 when she received the Cecil B deMille Award for her Outstanding Contribution in the Entertainment Field. 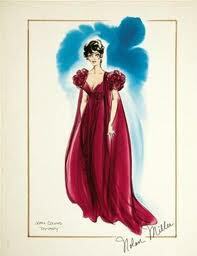 It went for $7,500 in the "Elizabeth Taylor Christie's Online Auction" last year. 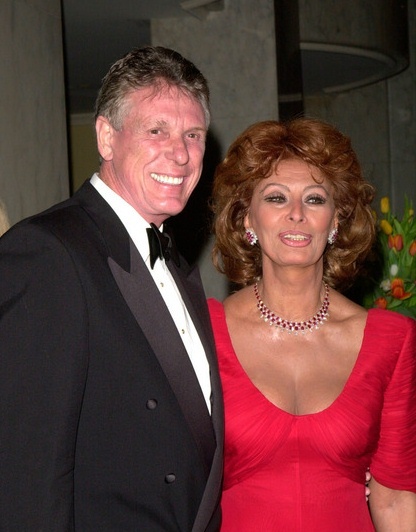 Sophia Loren: Nolan Miller (left) and actress (and DIVA) Sophia Loren, wearing a Nolan Miller red gown at the 2000 Costume Designers Guild Awards. You will be missed. Thank you for inspiring a very young Greek-Venezuelan boy with a Dream! 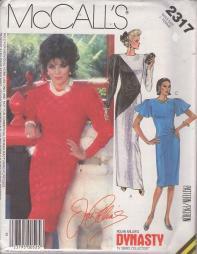 2 Responses to "RIP.....Costume Designer Nolan Miller: Shoulder Pad GOD!"